The VR Big Carbon Fibre Base is the partner of choice for 360 degree photographers and videographers. It combines professional performance with minimalist design. Its 100% carbon fibre legs provide the highest rigidity and are extremely lightweight. This compact, robust carbon fibre tripod is perfect for use with Manfrotto extension booms and comes with a specially designed aluminium adapter that enables the extension to be connected laterally, in order to provide maximum stability even when you need to get several meters off the ground. 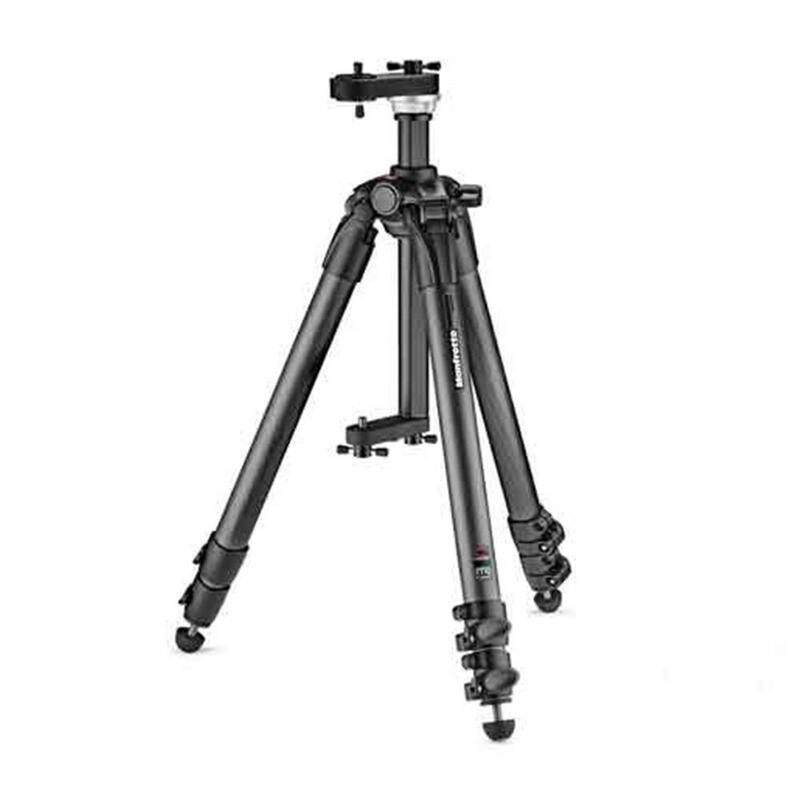 Designed to filter out vibrations to ensure excellent photo and video quality, the tripod comes with round carbon fibre legs featuring user-adjustable flip locks to release and secure the leg sections. The tripod has three different leg angles for increasing the footprint so that the base is even more stable when the 360 degree camera needs to stay high off the ground. Weigh: 3630 g / 128.03 oz. Safety Payload Weigh: 18 kg / 39.68 lbs.